Demonoid.me is the best Torrent trackers and top download providers, which has been shutdown for many years. Now Demonoid.me is back online, a few months ago. They provide the best Torrent trackers and Premium downloads for free. The only thing you need to be the part of Demonoid.me, is to be registered user. You can register to Demonoid.me, only using a invitation code. 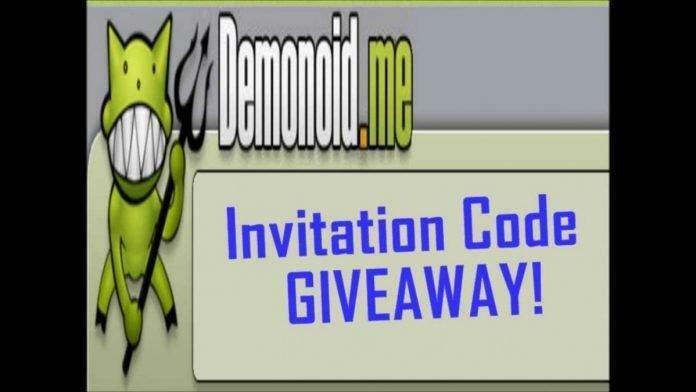 IGW (Igadgetsworld), is offering Give Away to our wonderful readers, a free invitation code of Demonoid.me. Here is the process to get your Free invitation code for Demonoid.me automatically to your email. we can see the entries list in the system, so everything counts here ! 6 .We will send you an invite through your email address or to your facebook page or to your twitter profile (direct message) so be sure you do not provide any fake social network. 6. We will generate a demonoid invitation code for those who got 15 points, make sure you subscribe to our mailing list for more giveways like this. Finally, Use this invitation code for registering yourself for Demonoid.me. Note 1: Public registrations are closed, you must have an invitation code provided by a current member to be able to register. Note 2: Invitations are free. Selling invitations is not allowed. If you paid for your invitation, it will be banned. Don’t be fooled, there is no such thing as an authorized seller.